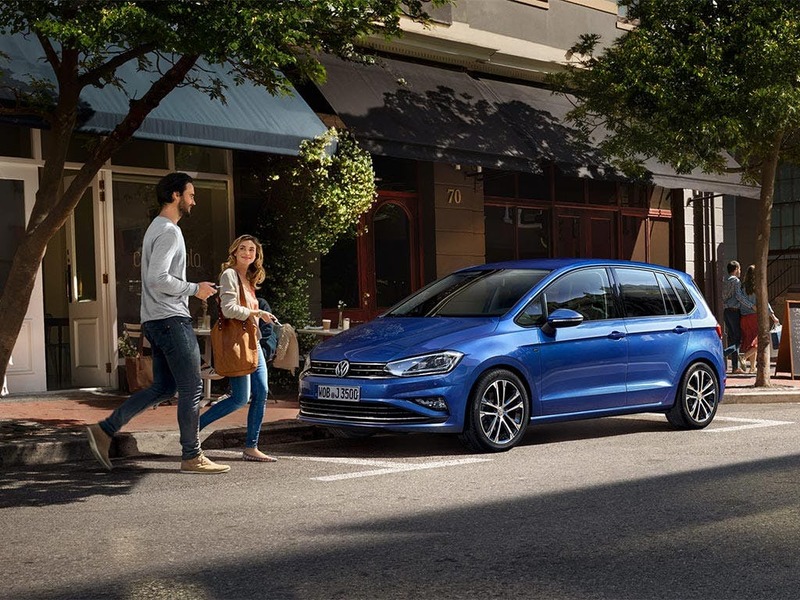 Full of advanced safety features to keep you and your passengers as safe as possible the new VW Golf SV is a secure vehicle with a sturdy yet stylish build and a strong performance. 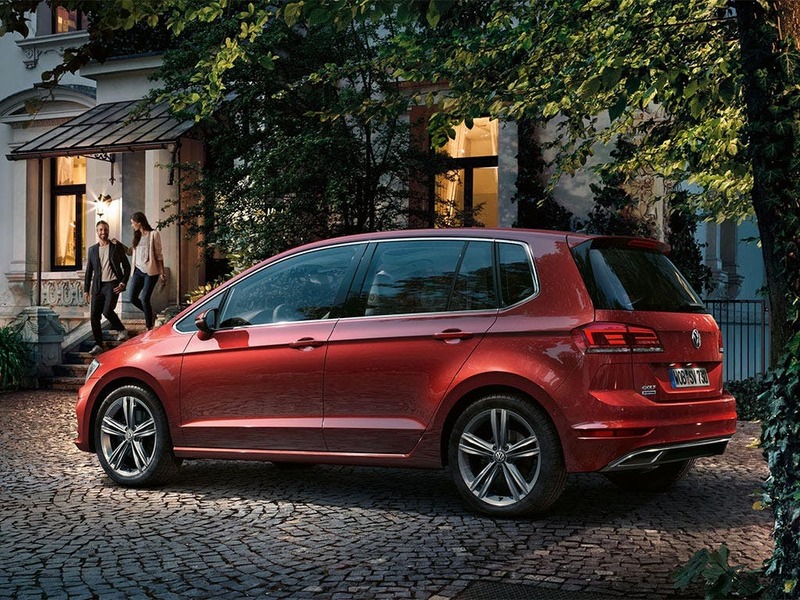 The new Sportsvan model of the VW Golf combines the features of an MPV with a classic model. 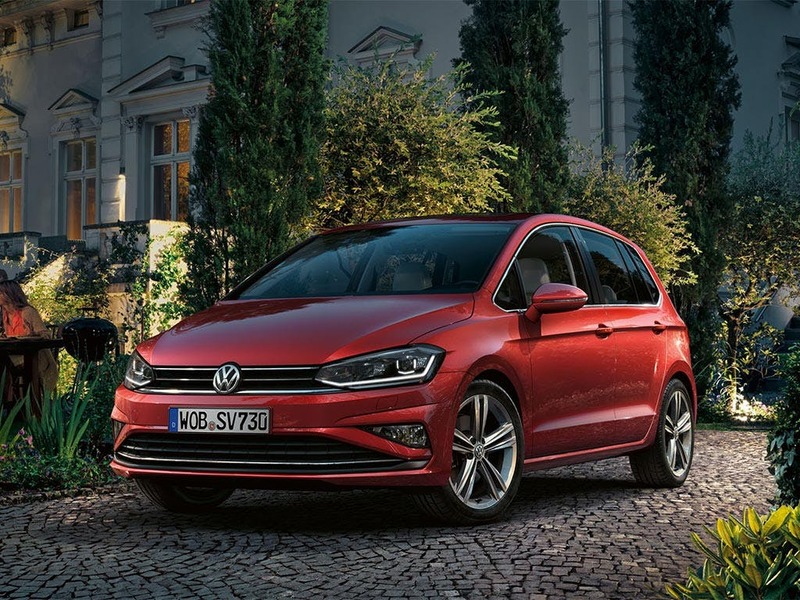 Discover all the latest Volkswagen Golf SV offers currently available. Every detail matters, view the Volkswagen Golf SV technical specification. Download the latest Golf SV brochure. Body coloured bumpers create a fluid sporty design, whilst alloy wheels add stability and a touch of opulence. 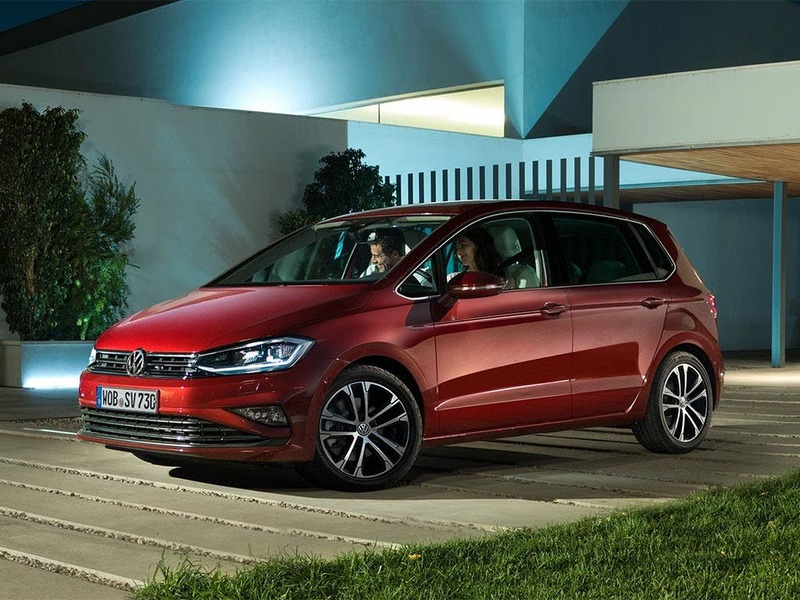 The roof of the Golf has been elevated higher than ever, making for more headroom and a more bulky and imposing look. The sloped bonnet falls down to the wide grille with the VW logo front and centre. The two headlights are angled down and meet with the grille perfectly whilst the silver window trim matches the dual roof rails. 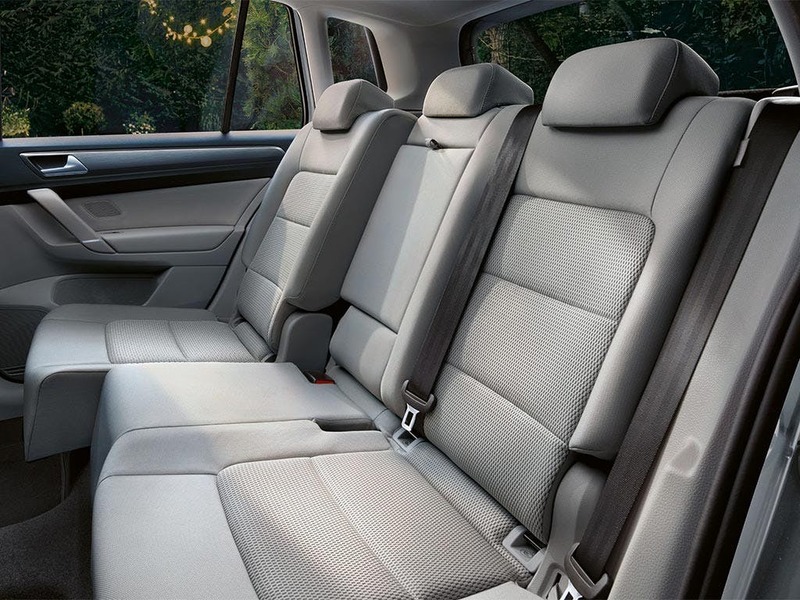 With an impressive 500 litres of space, the VW GolF SV’s back seats can fold down to make way for up to 1,520 litres. This gives you more than enough room to play with. The seats tuck away perfectly and don’t stick out. 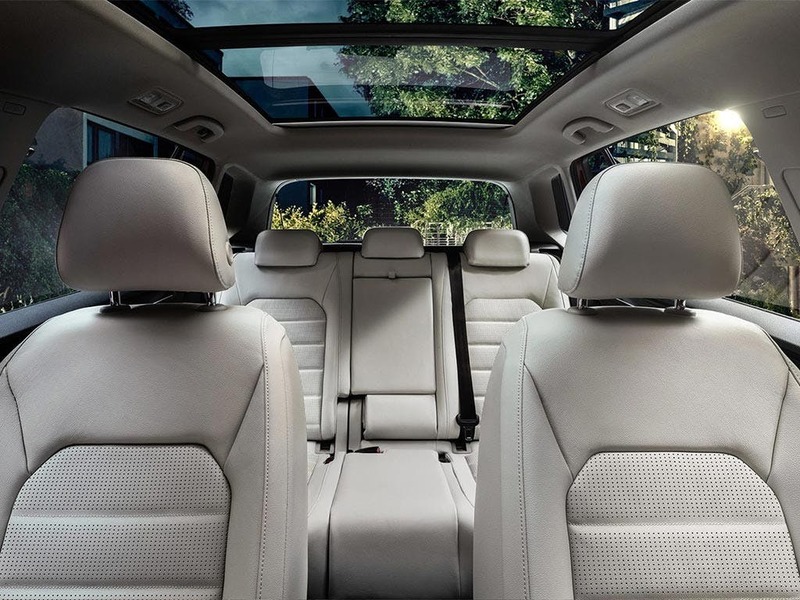 A panoramic sunroof gives you another way for light and fresh air to reach the cabin, whilst the adjustable steering column lets you customise the drive to your requirements. 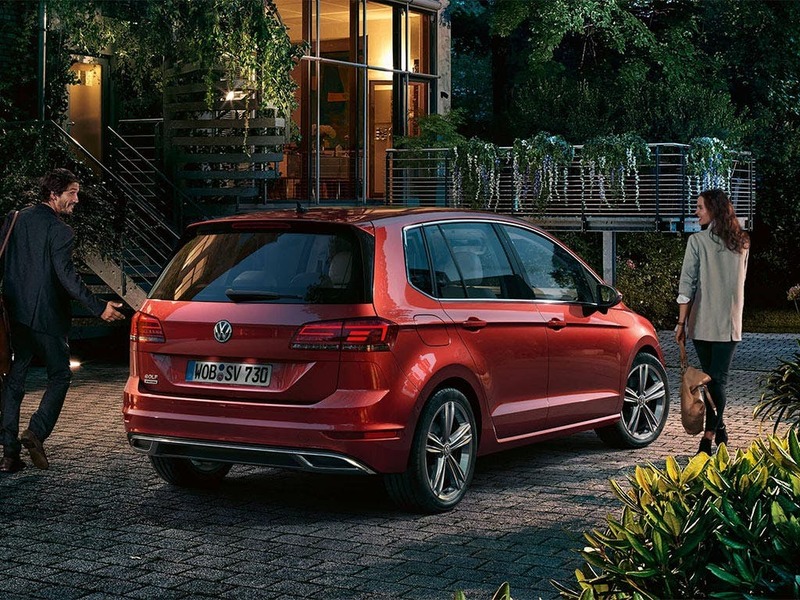 If this isn't enough, the new VW Golf Estate comes with even more space. A Multifunction Display relays vital information on your driving efficiency whilst also letting you control other systems. This system also controls the radio, letting you listen to your favourite songs on the go. A multi-function steering wheel lets you control the entertainment systems without having to take your eyes off the road ahead. Keyless entry is available, letting you get in your car without having you reach for your keys. Various features are included to help you with driving and to keep you safe. Adaptive Cruise control keeps a constant set distance from the vehicle in front - accelerating and braking as necessary. Front Assist stops any collisions with pedestrians, cars or objects. This system automatically brakes and can come to a sudden stop if the situation is dangerous, negating any potential harm. 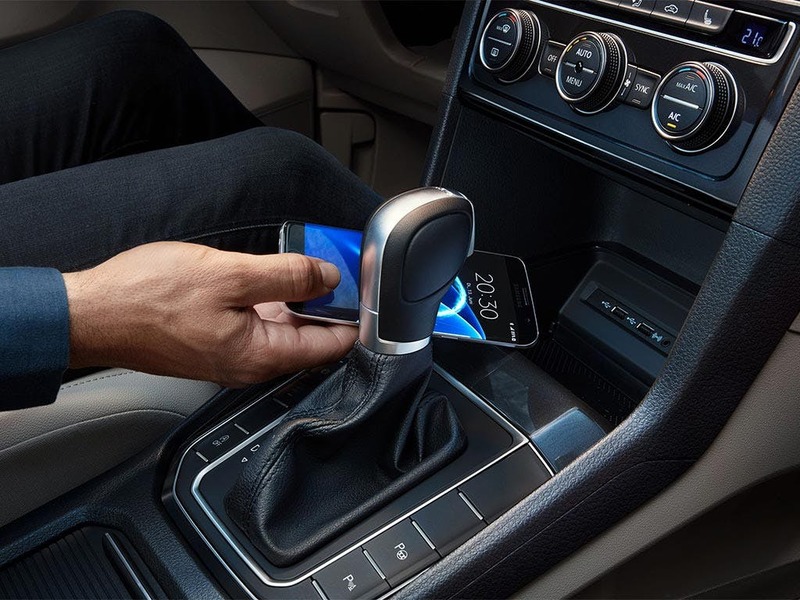 Lane Assist monitors your lane control and vibrates if you begin to drift out. Experience the new VW Golf SV for yourself by booking a test drive at your local Volkswagen dealership in Kent. 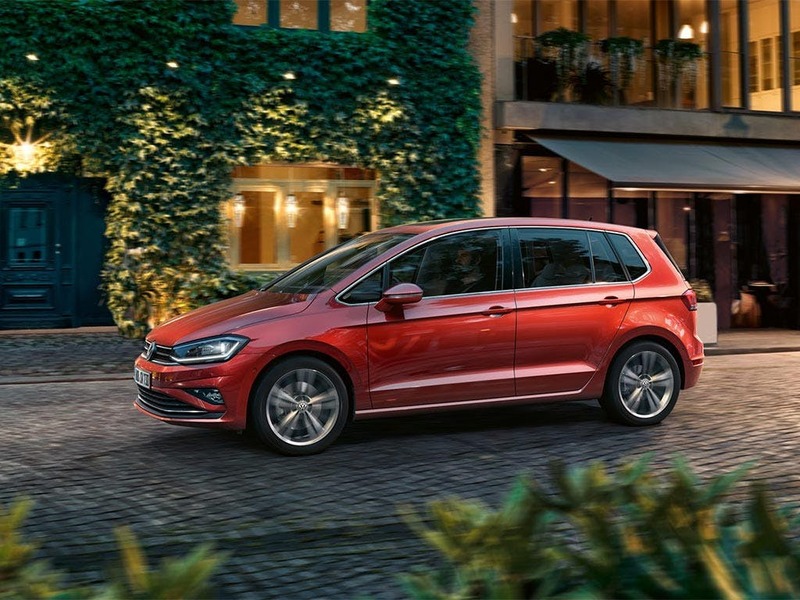 If you’re looking for more information about the Golf SV or want to discuss the best purchasing options available for you, visit your local dealership or call us to speak to a friendly member of the Beadles Volkswagen team who will be on hand to help answer your enquiries. of customers that bought an Volkswagen Golf SV would recommend to their friends and family. I'd definitely recommend Beadles Volkswagen Sevenoaks because it is a professional, friendly establishment. Doesn't use 'hard sell' techniques, trying hard to match customers with the right car and finance. I would use them again for another purchase. I had a great experience at Beadles Volkswagen Sevenoaks because the staff were most obliging and helpful, in particular Mr Colin Stratton went out of his way to make the transaction as smooth as possible. The staff at Beadles Volkswagen Sevenoaks were good because they were interested in meeting my needs and did so with a friendly attitude. The experience at Beadles Volkswagen Dartford was fantastic because you're looked after well. The salesperson is very helpful and explained every aspects of my purchase. The staff at Beadles Volkswagen Dartford were good because they took the time to explain everything and was not a long drawn out process. I'd recommend Beadles Volkswagen Sevenoaks to a friend because I found them very helpful and professional in how they interacted with me and the price and quality of the cars they had was very competitive, and I liked the thoroughness of the Das Walt program. I was happy with the service at Beadles Volkswagen Sevenoaks because they have been very professional throughout the whole buying process. Explained the options clearly. Very impressed. Beadles Volkswagen Maidstone were fantastic because they are a great dealership, manned by extremely knowledgeable, helpful and very friendly staff while still ever mindful of the Company needs. 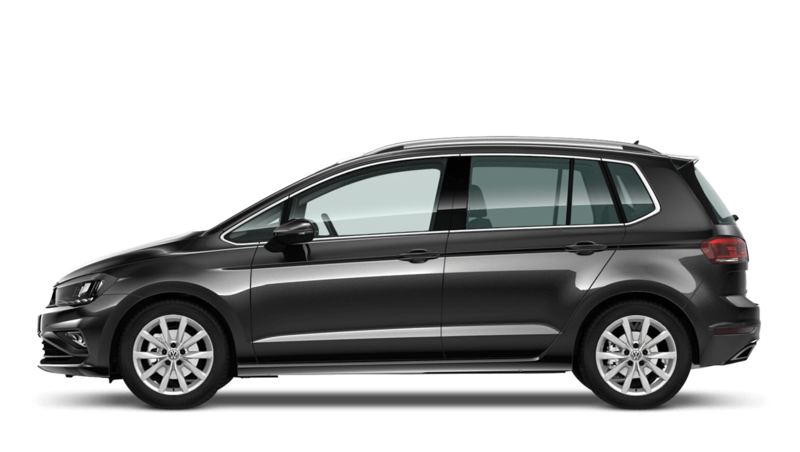 Explore the Golf SV specifications.